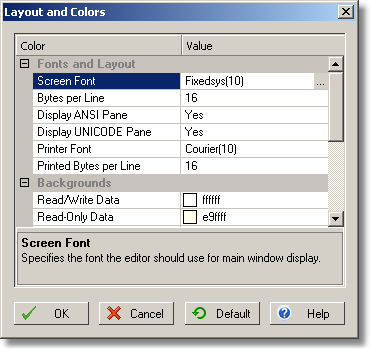 The Tools / Layout and Colors command sets up the appearance of the FlexHEX window. All changes are immediately shown in the program window to make designing of the new color scheme easy and straightforward. In any moment you can return to the default scheme by pressing the Default button.